Miami’s weather is fantastic throughout the year, but the springtime is arguably the best to do any activity that involves the outdoors as the weather isn’t intolerably hot and the afternoons typically have a pleasant breeze. A great way to enjoy such days is with a nice beer, and there are a couple of places throughout Miami that are among the best. Grab some friends and get ready for some good times! Over in the Wynwood area, The Butcher Shop is a near perfect emulation of a German beer garden. You can choose from a number of meals and appetizers like assorted sausage platter or the German pretzel with béchamel sauce. With more than eleven different drafts and over fifteen beers to choose from, having a drink on the outdoor courtyard picnic tables is lots of fun. 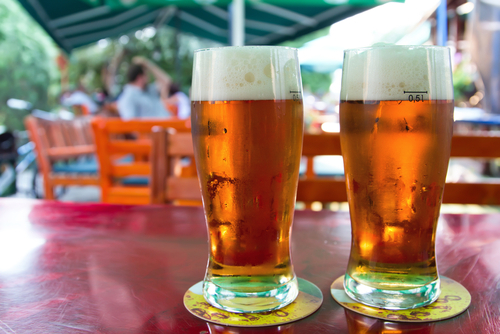 If you’re looking for something based in Miami Beach, check out Lou’s Beer Garden located behind one of the city’s classic boutique hotels. Its beer selection is so extensive there’s a $12 craft tasting in case you have trouble making up your mind. Besides the beer there is also pub style food to try like mini crab cakes. The ambiance is always laid back and tropically tinged thanks to the nearby pool. Miami is well-known for its profusion of restaurants with cuisines from just about everywhere in the world. These restaurants are scattered copiously within the city or right by the water. Today we’re taking a look at a few fine waterfront restaurants you might want to consider the next time you’re planning on dining out. Lique in North Miami Beach is like a fusion of the best qualities of France and South Beach. Relax on the open deck that overlooks the Intracoastal Waterway while enjoying dishes like Chilean sea bass, spicy tuna rolls, and Tanglewood duck. You can also enjoy an unlimited amount of crab legs on Tuesdays. You can’t go wrong with the mainstays and one of the best of these is Smith & Wollensky in South Pointe Park. With its stellar vistas of the western sunset and Government Cut, the restaurant’s dry-aged steaks are practically legendary in South Florida. The 16-ounce bone-in filet for $58 is definitely one of the many highlights in this longtime Miami Beach favorite. 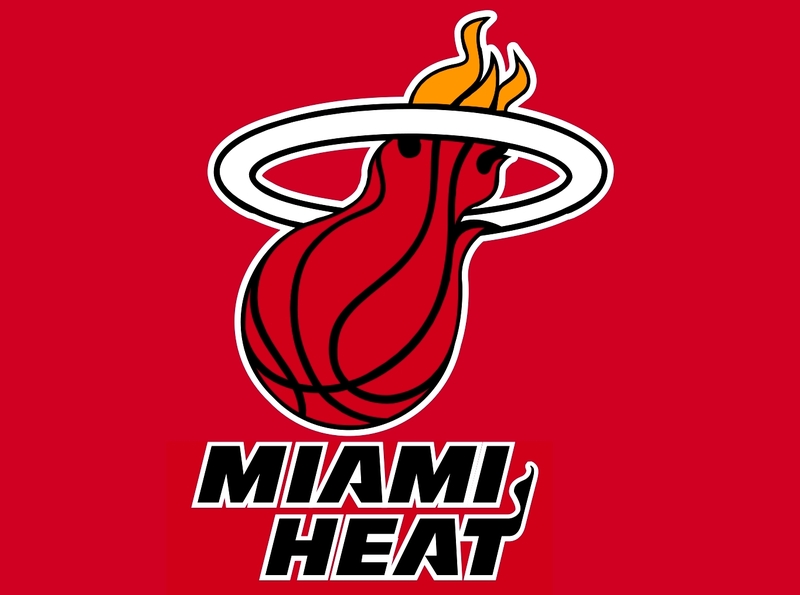 The Miami Heat successfully crushed the Charlotte Hornets on Sunday during their first game of the Eastern Conference first-round series, coming in with a strong performance right from the start of the game and continuing until the finish. The team ended up breaking a playoff record during the first quarter achieving a total of 41 points and kept its lead throughout the entire game, never giving Charlotte any advantage. The team ultimately emerged victorious with a 123-91 score. Several players stood out during the Game 1 performance including Dwyane Wade who scored 16 points, Luol Deng, and Hassan Whiteside, scoring 31 and 21 points, respectively. Goran Dragic managed ten assists and Whiteside also managed eleven rebounds, showing a strong postseason debut. Game 2 against the Charlotte Hornets is happening tonight on the Heat’s home turf. The team is looking forward to bringing the same momentum during Game 1 into tonight’s game and achieving consecutive success. Game 3 takes place this Saturday in Charlotte. HIV/AIDS continues to be one of the most devastating diseases in the world. Although significant advancements have been made towards fighting it, there is still no known cure for it. Because of its effects, it’s important to continue spearheading efforts and initiatives to fight it and strive towards finding a cure. 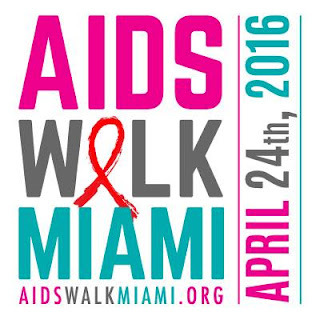 AIDS Walk Miami is one of South Florida’s largest HIV/AIDS awareness fundraisers and it has attracted hundreds of thousands of participants that walk for a myriad of reasons, whether it’s having lost someone close to them to the disease, or simply walking in a show of support. Funds for the 5K walk-a-thon go towards supporting the Care Resource and Food For Life Network food bank and its efforts towards working on infection prevention, maximizing the health outcomes of those currently fighting the disease, and ending the epidemic here in South Florida. AIDS Walk Miami is taking place this Sunday, April 24 at Soundscape Park in Miami Beach beginning at 8 am. Even if you can’t make it to the event, you can still consider making a donation and help achieve the $225,000 donation goal. The schedule for the new 2016 NBA Playoffs season is now available to Heat fans following the conclusion of the team’s 2015-2016 regular season. 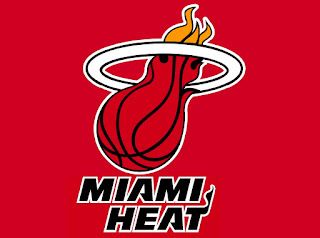 The first round of Playoffs will begin with the Heat facing off against the Charlotte Hornets this Sunday at 5:30 pm followed by a second game on Wednesday, April 20th. These games will be airing on TNT and NBA TV, respectively. The third game against the Hornets will take place in Charlotte on Saturday, April 23rd and it will also be airing on TNT at 5:30 pm. The series against the Hornets will be happening starting on April 25th. The time and channel for these games has yet to be determined. With the exception of the games being televised by ABC, each of the Miami Heat games happening this season will also be televised on Fox Sports. If you can’t watch them on television you can also tune in to 790 The Ticket or 104.3 HD2 to listen to them. Fishing is a great activity to enjoy with your kids, but it’s important to nurture the activity at a young age or else there’s the risk of them never getting into it. If the first experience is boring or requires a need to remain quiet and sit still, the child may end up losing interest. 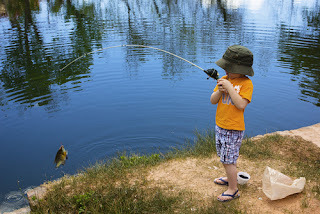 Instead, focus on introducing fishing in a way that makes it seem more like a fun game and chances the child may soon want to go on fishing trips all the time. When teaching the sport of fishing, it’s important to allow some room for the child to discover it on their own terms. Concerned the kid may fall into the water? Have them wear a “cool” life jacket. Consider purchasing a kid friendly rod that includes a tackle pack. Instead of heading out onto the ocean in a full fledged boat, try visiting a stream or maybe a pond at a park so that the confinement sometimes associated with fishing isn’t there. The key is to slowly ease the child into the activity where they begin to show interest on their own and he or she will eventually grow more comfortable and experienced. Have you noticed some form of poetry in rather odd places throughout Miami-Dade County lately? You may be one of the more than two million Miami-Dade residents that are being delivered a poem throughout the month during the O, Miami Poetry Festival. Now in its fifth year, the festival consists of a number of events and various projects and the ultimate goal is to ensure that each resident is exposed to a piece of poetry, including prose, haikus, limericks, and more. 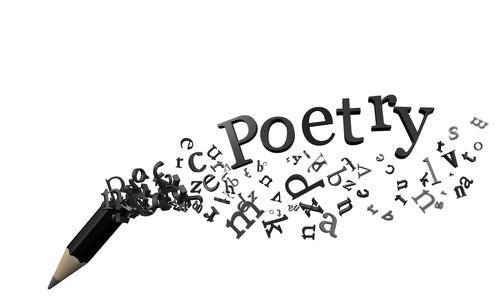 This will be achieved by posting poetry in a number of different and peculiar places including rooftops, coffee cups, under water, and many more unusual places. Some of the notable projects that are happening or will be happening this month include the “Poet Roller”, a large wood roller designed to etch the words “Mañana? Always Mañana”, (“Tomorrow? Always Tomorrow” across the sands of Miami Beach over and over. The words are part of a poem written by late Miami poet Donald Justice. 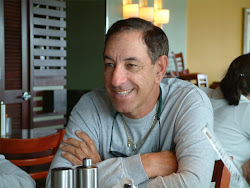 If you’d like more information on the O, Miami Poetry Festival event schedule, visit the official website at www.omiami.org. Miami Beach architecture is among the most stunning in South Florida, with a host of classic and new buildings providing a rich, creative history and contributing to the barrier island’s popular Art Deco design. Have you taken the time to admire any of the buildings? What are some of your favorites? Let’s take a look at some of the major architectural highlights. Mediterranean Revival and Miami Modern architecture make up the McAlpin building on Ocean Drive. For something with a history that dates all the way back to the late 1930s, the Royal Palm hotel also features these same architectural qualities. Its 2012 renovation didn’t sacrifice an ounce of the building’s incredible, vibrant sensibility. One of the latest Miami Beach fixtures depicting these architectural styles are the lifeguard stands, which were recently redesigned. For a taste of tropical deco architecture, Miami Beach’s Beach Patrol headquarters is a great representation of this nautical-inspired Art Deco form. 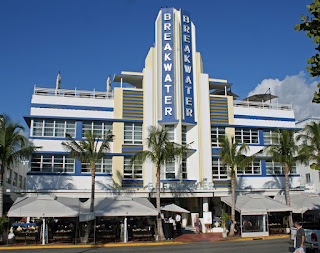 And lastly, most people are already very familiar with the much photographed Breakwater Hotel, a Miami Beach mainstay since 1936.